Individuals and couples facing infertility in southern Wisconsin and the northern suburbs of Chicago can find cutting-edge treatment and unwavering hope under the care of Kara A. Ehlers, MD, FACOG, our reproductive endocrinologist and infertility specialist at our Milwaukee office. By incorporating evidence-based, minimally-invasive fertility treatments into a custom plan personalized for each and every patient, Dr. Ehlers can improve the comfort of and the outcomes for her families-to-be. 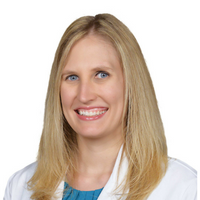 Dr. Ehlers received her medical degree from the University of Missouri School of Medicine and completed her residency in Obstetrics and Gynecology at UT Southwestern. UT Southwestern (better known as Parkland) is the busiest OB/Gyn program in the country delivering roughly 1 out of every 300 babies born in the US. In 2017, she completed her fellowship in Reproductive Endocrinology and Infertility at University of Louisville School of Medicine. Louisville’s REI program is the oldest continually running fellowship program in the country and has the highest cumulative live birth rate in the state of Kentucky. 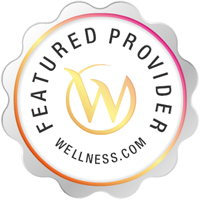 As a researcher, author and presenter, Dr. Ehlers is renowned for her work in the area of polycystic ovarian syndrome diagnosis and treatment. In addition, she has authored a number of scientific publications focused on women’s health and infertility.